Our partner Spanish language school Enforex is located in a historic building right in the heart of Barcelona's city centre and is just a short walk from the Plaza de Cataluña square. Las Ramblas and the university are also within walking distance of Enforex. Of course you can also explore this great city on your own or with fellow students. One thing is certain, you will never get bored in Barcelona! The intensive Spanish course in Barcelona is the best way for students to improve their level of Spanish in the shortest amount of time. The intensive course is available for 5 different Spanish levels, from beginner to advanced, with a minimum duration of 1 week. Each level is divided into subgroups to make sure each student is in the correct class for their needs. The teaching materials are not included in the price (35€ per book approx. 4 weeks). A room with a private bathroom is available upon request. Please contact us for further information. The price stated here is for an airport transfer on arrival at El Prat Barcelona airport. Return transfer: € 140 p.p. An aiport transfer with arrival at Gerona, Reus or Tarragona is € 225 p.p.. Return transfer: € 420 p.p. Please specify on the booking form at which airport you would like to be picked up. Coures materials are not included in the price, approx. 35€ every 4 weeks (to pay on site). In 2019 the school is closed on: 01/01/2019, 19/04/2019, 22/04/2019, 01/05/2019, 10/06/2019, 24/06/2019, 15/08/2019, 11/09/2019, 24/09/2019, 12/10/2019, 01/11/2019, 06/12/2019, 25/12/2019, 26/12/2019. Please note that some local holidays can be subject to change during the year. If the school is closed on 2 course days in the same week, 1 missed day will be rescheduled. One-to-one lessons will always be rescheduled. If a holiday falls on a Sunday, the school may close on Monday. If you want to take specific one-to-one lessons (Medical Spanish, Legal Spanish, etc.) a supplement of 15% applies per person per week. This course is for anyone who wants to learn Spanish and get to know the local culture with other students in their 30's and up. Learning Spanish with this course means you'll be in a group setting with people your own age, 30 and up, making it easy to find classmates with shared interests. The course includes three cultural activities each week in addition to the 25 weekly Spanish classes, making your Spanish learning experience much more meaningful. You will also get more personalized attention. That's why this course's group classes only have 3-10 students: you'll get all the benefits of learning in a group setting without getting lost in the crowd. This course is available for all Spanish levels. Learn Spanish in Barcelona and stay in a shared apartment. These shared apartments are located in the very centre of the city and close to the school. There are shared apartments of different sizes and characteristics available according to the specific needs of every student. Each shared apartment has a fully equipped kitchen, Wi-Fi and bed linen. Towels, meals and cleaning services are not included. Living with a Spanish host family in Spain will enable the student to see and understand many aspects of the Spanish lifestyle, enabling them to obtain a better knowledge of Spanish culture, traditions, etc. Your host family will have been specifically chosen for this purpose in order to make your stay in a homestay as pleasant as possible whilst you learn Spanish in Barcelona. Even though Barcelona is a big city, the school will always try to accommodate students within a 20/30 minute radius from the school. You can stay in a single or twin room with half board (full board is possible at a supplement). Bed linens, blankets, towels, Wi-Fi and laundry service once a week are included. Some host families offer a bag lunch instead of a sit-down meal at home. 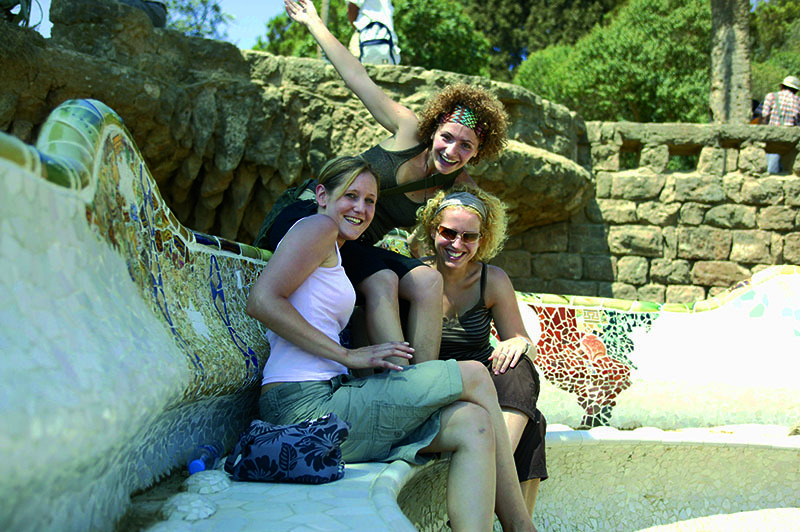 Student residences are located in the centre of Barcelona, 20-30 minutes away from the school. Students choosing this accommodation option will be able to meet Spanish and international students in a stimulating environment. The student residences in Barcelona differ from one another, but they all have facilities such as a cafeteria, library etc. You can stay in a single or twin bedroom with breakfast, half board or full board. Wi-Fi, bed linens, towels, weekly cleaning are included. Kitchen and laundry facilities available.